Of course there are no signs or directions! So we asked around and played a bit of follow the leader before lining up…. at the wrong boat! 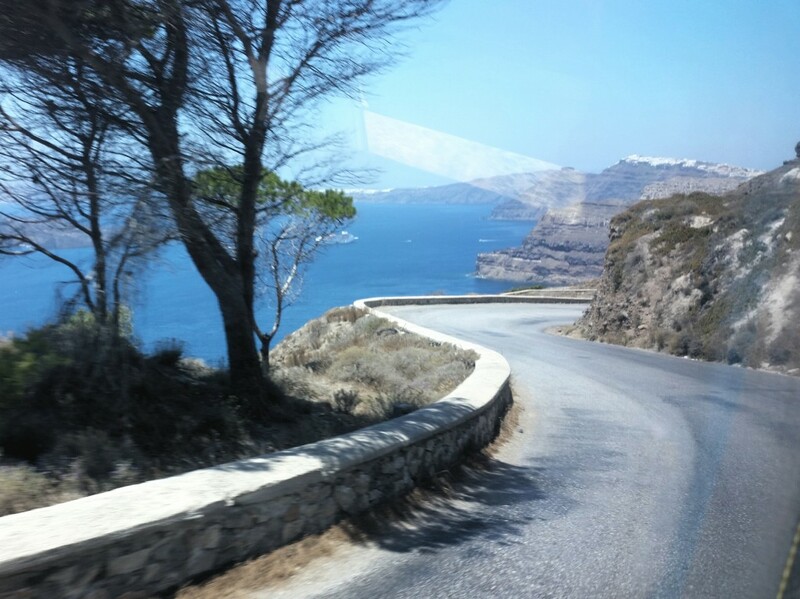 After a quick discussion made up of quizzical looks, Greek gesturing and s-l-o-w English (yes, it’s coming along well thanks but I’m not sure why others are so slow to catch on), we were pointed in the right direction towards our downsized ferry to Santorini. All good! We strapped ourselves in with cappuccino and croissants and slept, just waking one eye at each port of call to check we were heading in the right direction. No… we really didn’t have any idea! 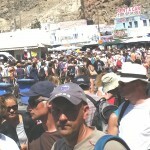 Finally we arrived at Athinios, Santorini’s port at the foot of the cliffs. 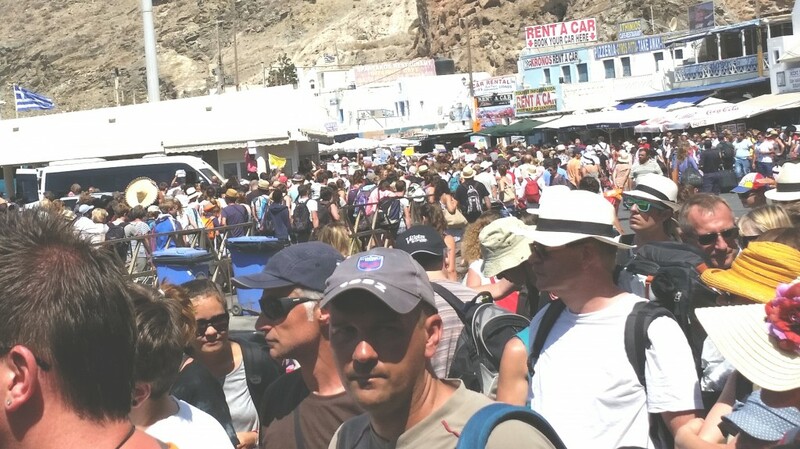 The tide of tourists had definitely come in and there was a feeding frenzy amongst the local tour operators, car hirers and local buses. We were eaten alive! Oh my! 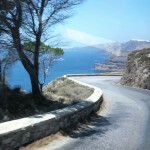 Our huge coach carried us up the side of the granite cliff face along this narrow, winding snake of a road. I can only imagine the goat track that had existed in days gone by and the number of non goats that had gone over the precipice that greeted us on every hair pin corner. I closed my eyes and only peeked out intermittently to find our final destination of Oia at the furtherest end of the island. Ok, when I opened my eyes fully… what a wonderful sight awaited! 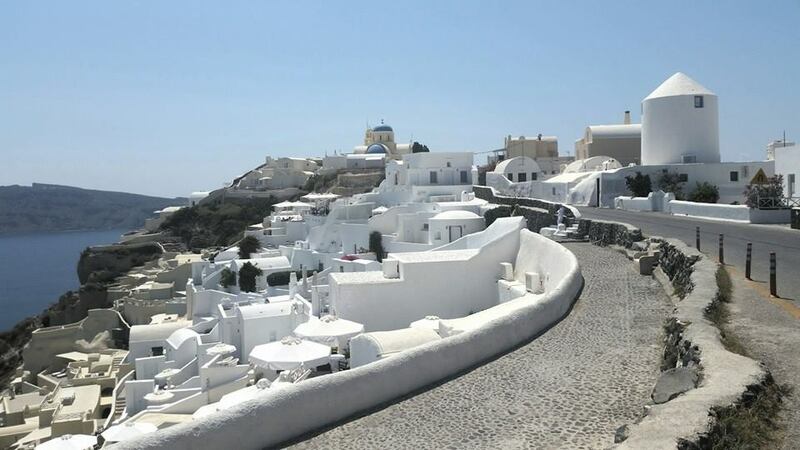 I had heard about quaint Santorini and its world famous sunsets but nobody had prepared me for the snow coned blue churches dripping in character and the winding laneways overflowing with grateful shopkeepers who made such easy sales. Their ship had come in everyday… and this time I was on board! We filled our days sailing, snorkelling, sunning and hot springing before we changed back a gear to an even slower pace and repeated our sloth on the island of Paros. This time tho we added some historical kulcha with a guided tour of the ruins on Delos and a long lunch in Mykonos. 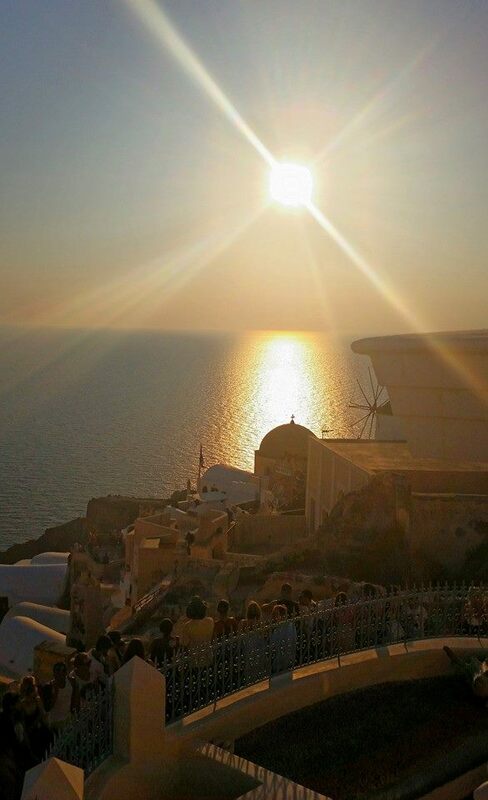 After several days of chart topping sunsets and guilty decadence we were ferried back to whence we’d come… Athens. Yes, we returned to our little hotel in the Plaka where we were spoilt with a breakfast view of the Acropolis and lulled to sleep at night by Michael Jackson classics adapted into Greek folk music wafting up from the restaurants in the garden square below. I fell asleep easily and dreamed of Zorba dancing and I’m sure he looked just like Anthony Quinn. 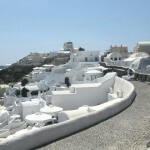 Since I had been a student at school, I had always dreamed of visiting Greece. 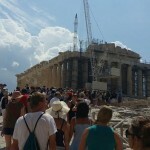 I had enjoyed studying Art and Ancient History and was looking forward to pacing out the Parthenon, examining those Doric columns up close and finally understanding those bloody peripteral temple plans. I yearned to sit in the ancient Agora and feel where democracy had been born. 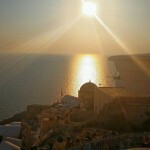 I wanted to walk in the footsteps of Plato, Aristocrates and good ol’ Pericles. But in the end… what I have taken away with me is completely different! I have a new found respect and great memories of an engaging people who have a wonderful way of living life. They truly live, love and enjoy the unhurried moment. 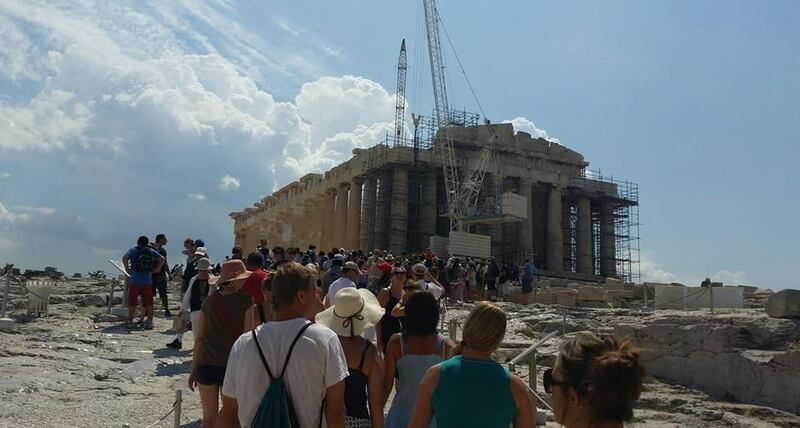 One day they might even finish the Parthenon!